HOUSTON -- A Harris County man is accused of a crime that is unthinkable. 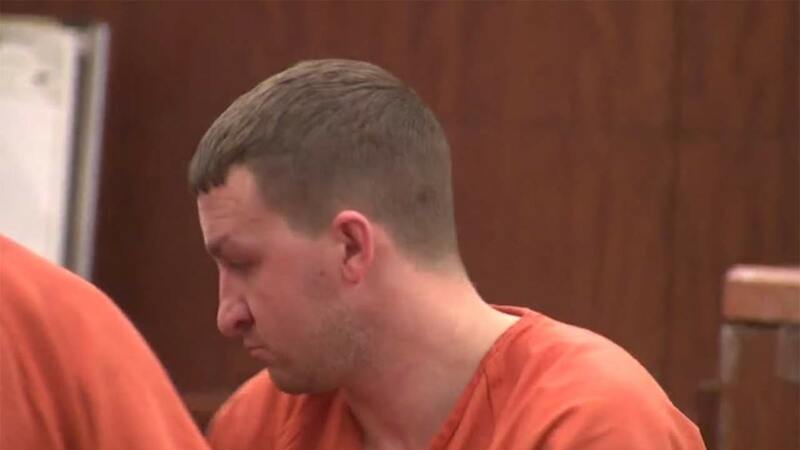 Andrew Turley, 28, appeared before a Harris County judge on charges of trafficking a child and compelling prostitution. Warning: the details are very disturbing. What this man is accused of doing made those in court gasp out loud. The details are very troubling. Turley is charged with trafficking a child and compelling prostitution. Prosecutors say Turley advertised on Craigslist offering a 4-year-old girl in an ad that read, "Play with Daddy's little girl." According to the district attorney's office, when investigators found the ad they responded, and exchanged more than 60 emails with Turley. Eventually they met at his apartment and agreed to pay $1,000 to Turley. Once inside the girl's room they found her unresponsive, possibly drugged. The charges stunned the onlookers at Monday's first appearance. You could hear them gasp at other details so shocking we won't report them. Assistant DA Ann Johnson said, "The defendant offered two hours with a child younger than 10. When officers arrived they discovered the complaining witness being a four-year-old child who appeared to be under the influence or in a groggy state, also appeared to be unclothed under the blanket which the defendant exposed to the officer at that point he was arrested." Turley's bond is set at one million dollars. He does not have a lawyer, but he will get a court appointed attorney and could possibly bond out, but is being told he can have no contact with the child or her mother, or any child. We can report the child is safe at this time and it does not appear the mother knew what was happening.